Whether you measure time in dog years or model years, what matters most is spending time with your best friend; time is irrelevant. Head to the St. Petersburg’s beaches or to the dog park with help from reliable used transports like the Volkswagen Tiguan and Volkswagen Passat. 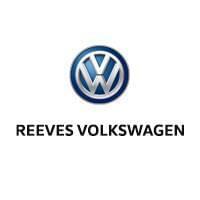 With Reeves VW right around the corner, you and your pup can explore our used Volkswagen inventory and likely find a delectable transport. We prove that time carries no weight by checking each used Volkswagen model for quality assurance. Although affordable and toting additional mileage on the odometer, our used Volkswagen inventory promises new-car rivaled quality. Use all that money you save to buy your dog a mountain of tennis balls or a lifetime supply of dog treats. Just join us here in Tampa to see what used Volkswagen opportunities await you and the rest of the St. Petersburg community.